First was Leslieville PS right across the street and then on to WOOF-FEST at St Lawrence market. It’s a great excuse to get to know your neighbours and buy cheap hot dogs and pickles on a stick. Toronto is a town that moves from one festival to the next, many of them overlapping one other. Traffic gets even worse in the city but it’s a perfect time for everyone to slow down and smell the roses. 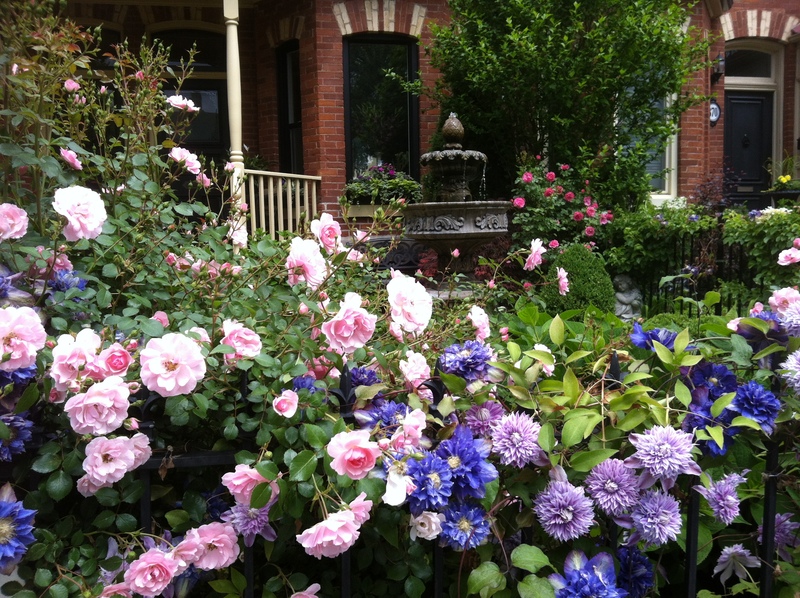 The Hidden garden tour in Cabbagetown was the perfect opportunity to sneak a peek at the amazing urban spaces created in this beautiful Victorian Neighbourhood. I love to see how the other half lives and it only cost me $15 to do it. Maddie and Linds spent time at Riverdale Farm while I rubbernecked my way around backyards and charming streetscapes. Every weekend there is something going on and I plan to enjoy all summer long! So much fun! Really enjoyed your pics – cant wait to join you!! i can’t wait til you join us too!! Glad you are back on line Ter. I always look forward to reading your blog. It makes me feel like we live close. The garden tour looked amazing. I seem to spend a lot of my time in the dirt. I don’t know what it is about gardening that is so therapeutic.